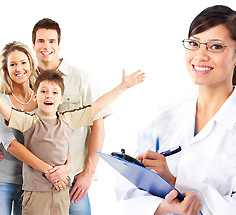 While we have a strong commitment in providing a reliable service to non-insured patients at a competitively lower price, we are also in network with many Independent Insurance Companies, Health Management Organizations, government agencies, Commercial Insurance companies and Medical Groups. Following is a quick reference to some of the entities that we are contracted with. > Northern Cal Advantage Medical Group, Inc. Please note, it is mandated by most of these companies for patients to present their ID at time of service. When you come for your appointment, please remember to bring your insurance information and picture identification with you.